Bridget and Dr. Yap spent a lovely morning in February 2019 educating preschoolers on all the essentials of oral health at Rockburn Elementary School in Elkridge as part of Children's National Dental Health Month. Great job ladies!!! 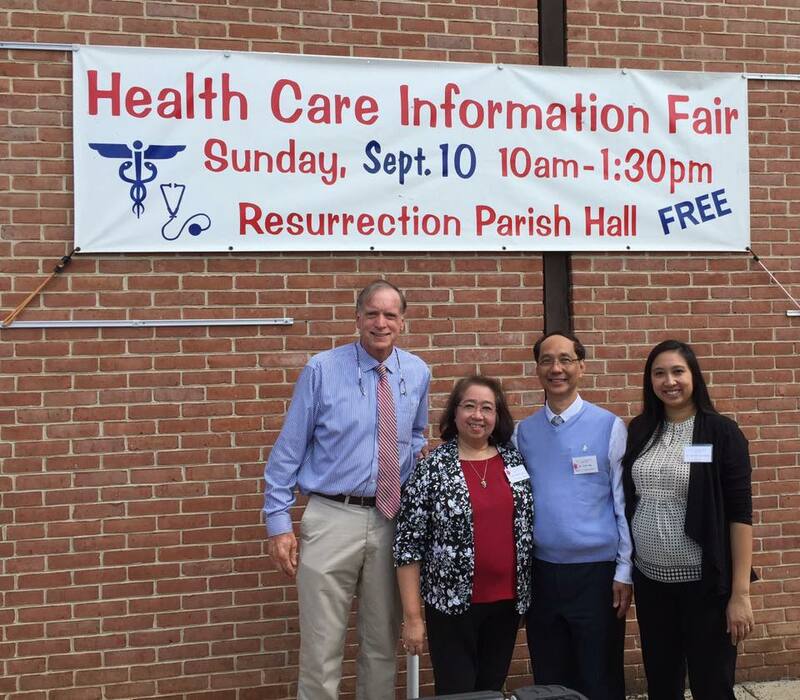 Dr. Baronas and Dr. Yap volunteered their time at the Resurrection Parish Health Fair in September 2018. They spent the morning educating patients and answering questions about dental health, providing free tooth brushes and other home care aids. There is so much to learn and the attendees were happy to keep abreast of the latest in dental research and oral health. It was very well attended and a good time was had by all. Dr. Mohler provided care at the 2017 mid-Maryland Mission of Mercy. The Xfinity Center basketball arena on the campus of U of MD College Park was transformed into a dental clinic. 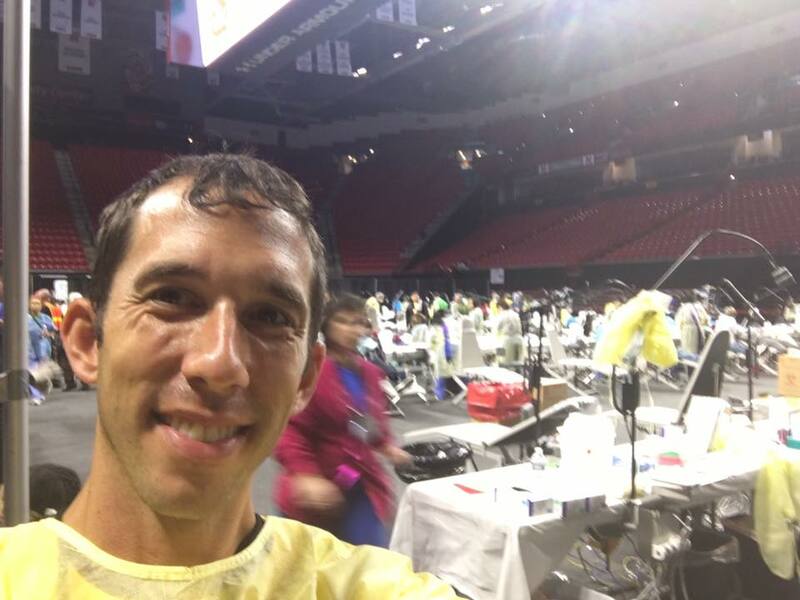 Over 850 patients received dental care from cleanings to extractions, root canals and fillings over the 2 day event. Most stood in line from 4am!! 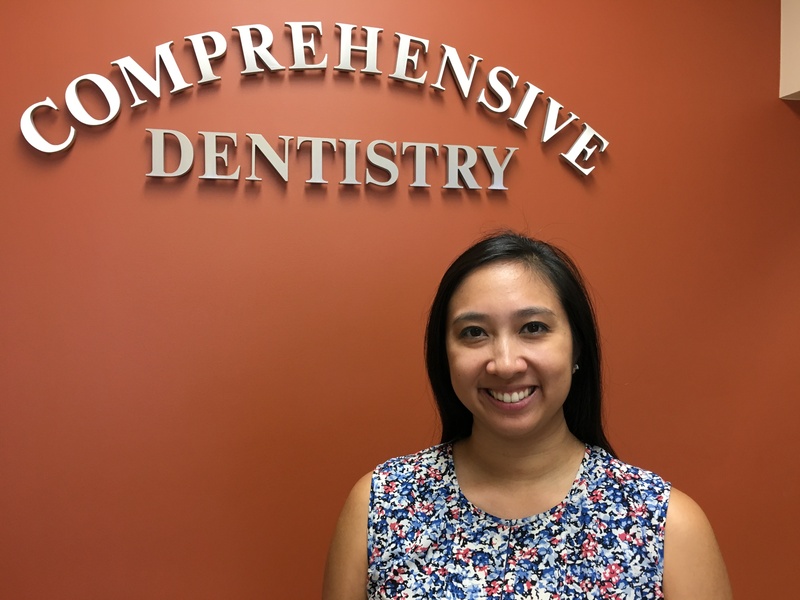 We are very excited to introduce the newest member of our 1122 team of providers, Dr. Lani Yap-Encomienda. A native of Ellicott City, she comes to us the prestigious Johns Hopkins Hospital General Practice Residency program in Baltimore. She will be a wonderful addition to our dental practice with her hospital based dental background. 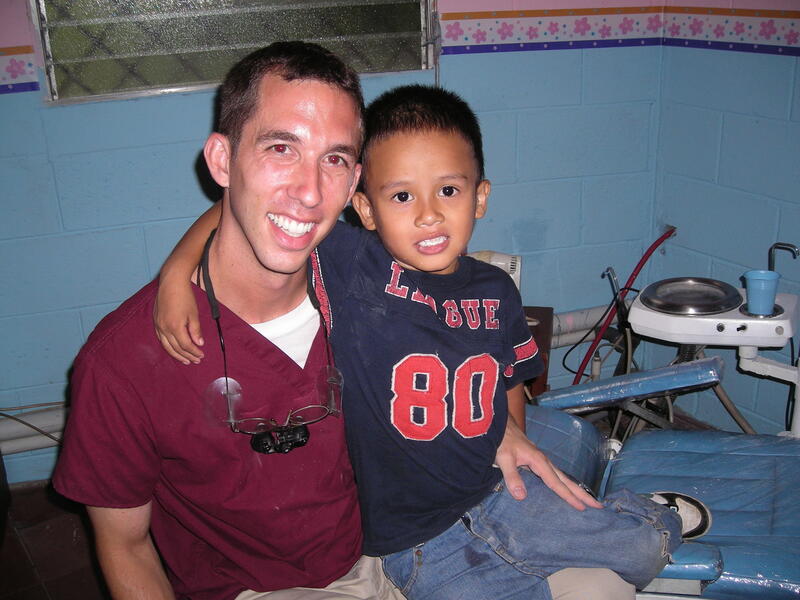 Dr. Yap is very caring, an exceptional clinician and even better person. We are so excited for you to meet her and experience her tremendous chairside manner in caring for your dental health. In April 2017, the office was closed for our semi-annual staff development trip. We take a major trip about every three years. 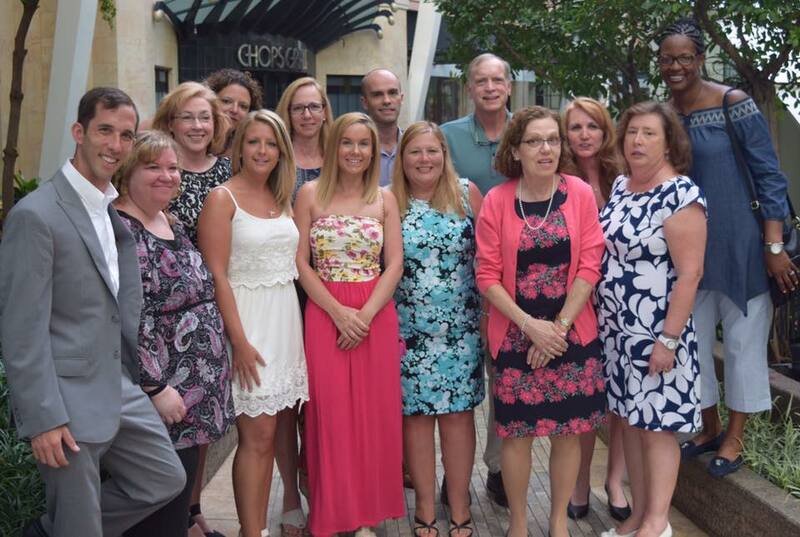 A great dental team from Florida gave a course on maintaining the human touch while providing high tech care. Technology can overwhelm the importance of listening, laughing, crying and understanding what a patient is going through. We pride ourselves on providing the best dentistry has to offer to our patients and now have some great tools to to this even better! This is not character from Star Wars! Treatment is faster and more comfortable for patients with intraoral scanning and digital dentistry. 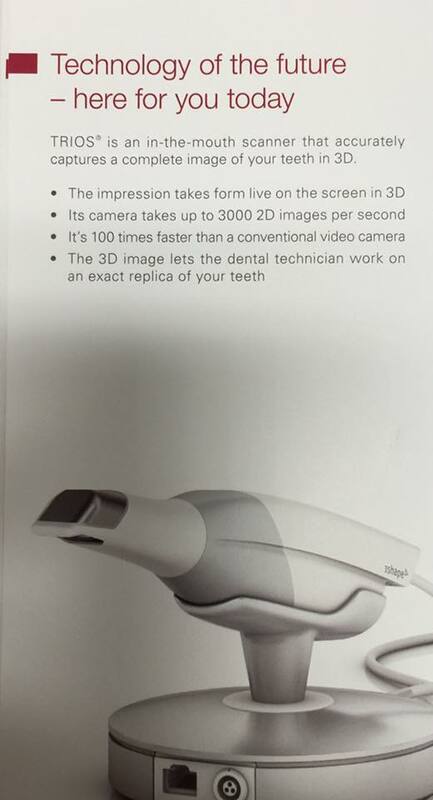 Out intraoral scanner is the most accurate one on the market and is used to take super high speed images of a patients’ mouths(digital impressions) to make dentures, crowns, veneers, dental implants as well as plan orthodontic treatments and create orthodontic appliances. No more gooey impressions and no more gagging!! 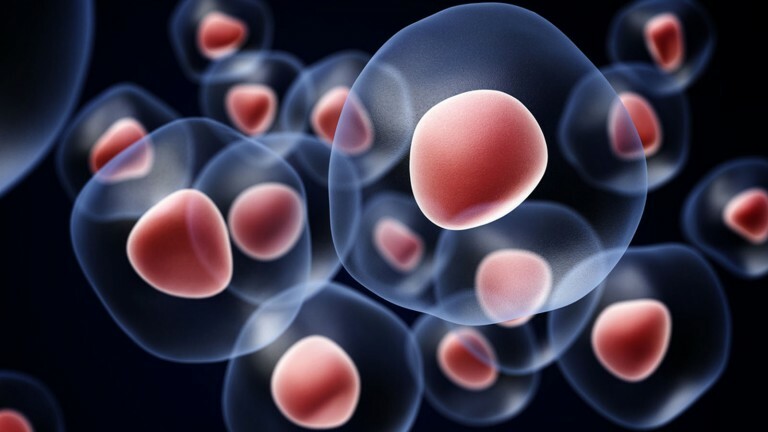 Stem cells are cells in the body that are present from the beginning of life that have the ability to form into any type of cell in the body. When put in contact with certain bone factors, they can become bone. When they are with muscle or nerves, they can become them. Being able to form any type of cell in the body, they are being used to heal different diseases. If there is a problem with a patient’s eyes, they can grow in a laboratory a healthy part of the eye so a patient can see. If nerves are damaged by a stroke, healthy nerves can be grown. Because the stem cells are from the patient or family member, there is no problem of rejection as is possible with some transplants. A lot of these treatments are not able to be used in humans yet because they are still in the research stages but will be soon. What many don't know is that one of the best sources of these stem cells is in the pulp(nerve and blood supply) of a tooth. Expectant parents have the opportunity to store umbilical cord blood from their newborn which is genetically identical to them. If they have a disease or condition that can be cured by stem cells in the future, they can be used for them or family who have the same genetics. These same types of stem cells can be harvested from extracted baby or permanent teeth. What our office can do for patients is to send a freshly extracted tooth that has a vital(live and not abscessed) pulp to a storage facility that we have researched in Boston. Their name is National Dental Pulp Laboratory and their web site is http://www.ndpl.net/, Extracted baby teeth, wisdom teeth, or any tooth with a vital pulp can be used. The Laboratory will separate out the stem cells, freeze to preserve them and keep the cells for you as long as you want. Later if you need to access them for a number of regenerative procedures, which are increasing over time, it is available. The first fee is $695 and then there is a yearly storage fee. 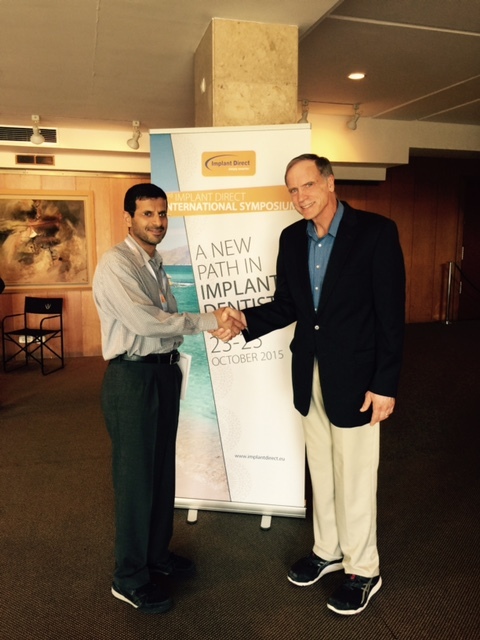 Dr. Baronas recently attended an international symposium on dental implants in Mallorca, Spain. This prestigious continuing educational event was attended by 400 dentists from 30 countries. Of the 20 clinicians that presented their work only two were from the United States. "The symposium presented the latest research and dental procedures that will definitely help our patients enjoy better dentistry. The quality of the presentations was excellent. There was excitement at the entire event because of the international scope and the sharing of knowledge from all the different countries. It was especially interesting to talk to the Muslim dentists from Egypt and Saudi Arabia and Pakistan about their situation and their views on ISIS and other political issues. It was a privilege to have the opportunity to go." Hate feeling numb after your dental visit? 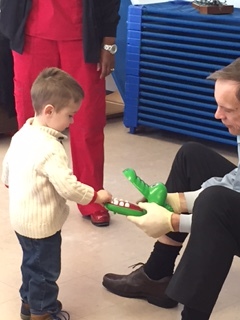 Dr. Baronas and Geneal spent a cold day in February 2015 at a local preschool teaching the kids about diet and good brushing habits. They had a blast...and so did the kids. Dr. Mohler received a great thank you card following his visit to St. Mark School in April 2014 to share a little bit about the career of dentistry. The third graders were a great bunch, and impressive artists to boot! Our office has decided to purchase an amalgam separator. While the state of Maryland doesn't require it, this device helps to filter out the small amount of mercury from old amalgam fillings that would otherwise leave office into the environment. We are doing our part to Save the Bay! 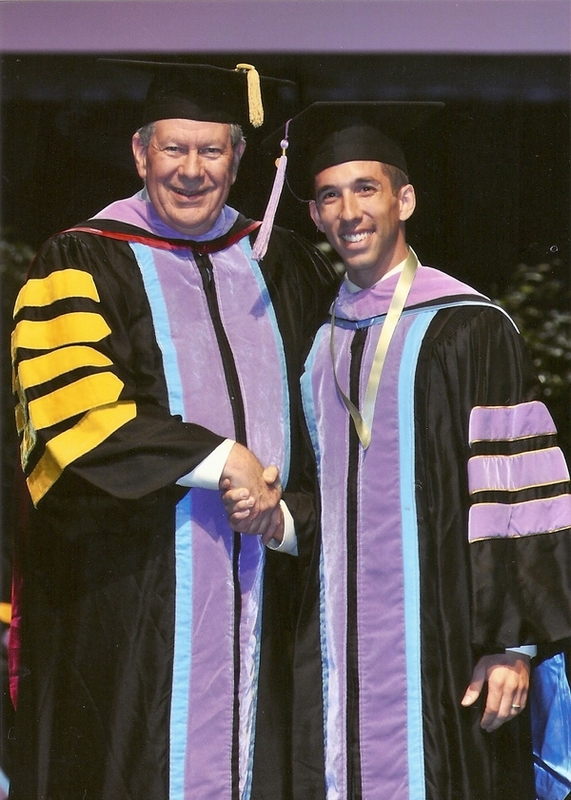 Congratulations to Dr. Mohler who earned his Fellowship in the Academy of General Dentistry!! After completing 500 hours of continuing education since graduation, he took a rigorous exam and donned the cap and gown at the ceremony on June 21,2012. Only 5% of general dentists in the country have achieved this designation. WHY DID WE PURCHASE A $10,000.00 INSTRUMENT WASHER? For your safety! Two years ago we spent a few thousand dollars to be the only office in Rolling Road Plaza to have an AED (automatic defibrillator). Now we have a Miele Instrument washer. We are the second office in the greater Baltimore area to purchase one. Before this the standard disinfection of instruments prior to autoclaving them was to use and reuse for up to a week an ultrasonic bath with the same solution to pre clean instruments. As you can imagine this solution gets very contaminated as the day and week go on. The instruments though are then rinsed and sterilized in an autoclave. The instruments are sterile but its possible to still have debris on them. The new Miele has 200 degree fresh water (water boils at 212 degrees) at every cycle with detergent and tremendous agitation and water spray. The instruments come out spotless then are put in the autoclave to be sterilized. This is far superior to the old process. We have a trust with you to protect you from cross contaimination. At our practice you are treated as family and we want our family as safe and protected as possible. Our latest technology is in our seperate sterilization area. If you ever want to see it we would be proud to show it off. However it looks like any other dishwasher on the outside....Thank you for trusting us with your dental care. 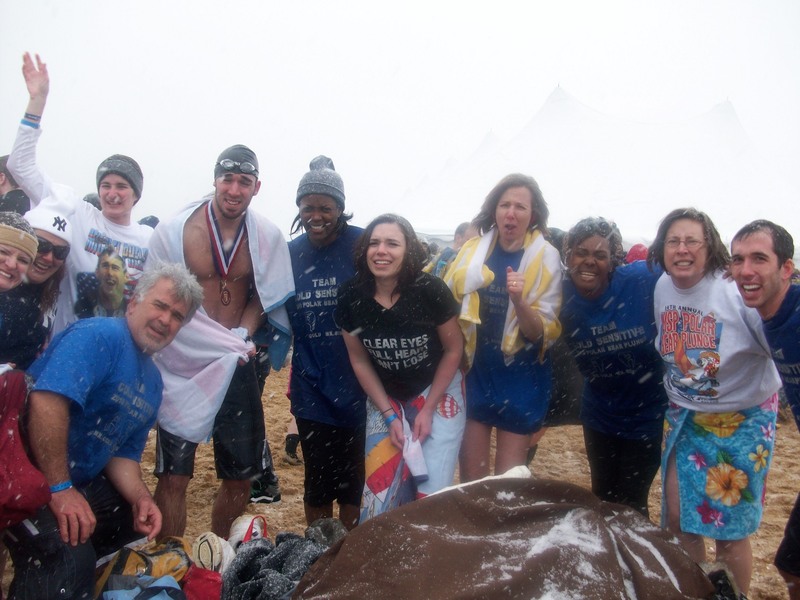 For the third year in a row, members of our staff took a dip into the Chesapeake to benefit Maryland Special Olympics. 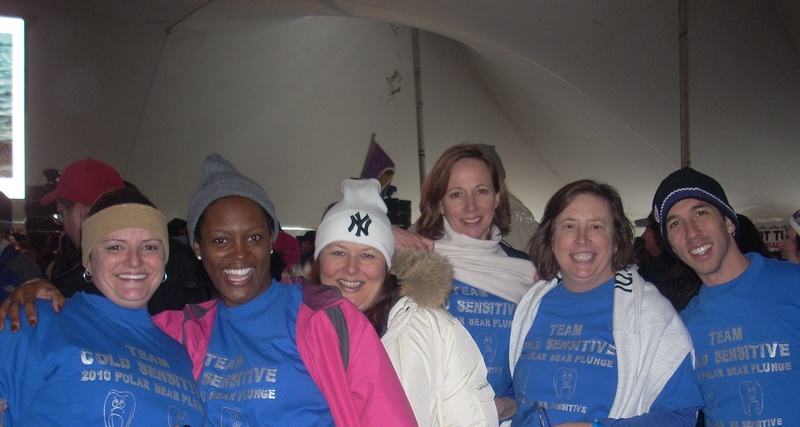 On January 30, 2010, snow could not keep six of our staff and our families from plunging in the icy water and raising over $1100 of the total $3.2million in this great charity event. Notice the difference in the before and after pictures.